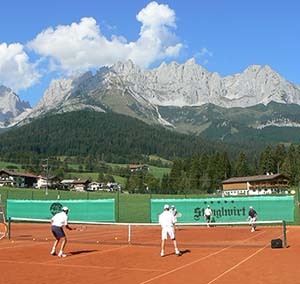 Tennis Resorts Online was founde d in 1999 to provide tennis vacationers with in-depth information about the tennis resort and camp landscape worldwide. It combines descriptions of close to 1,000 tennis resorts and adult and junior camps worldwide and encourages those who’ve been to any of them on vacation to provide their feedback as well. Its Search form provides a means to hone in on the resorts and camps that best meet your needs. There is also a Calendar of tennis events, a compendium of Special Packages unavailable anywhere else, and our annual ranking of the Top 100 Tennis Resorts & Camps based on reviews submitted by tennis players themselves. Tennis Resorts Online’s founder and editor-in-chief ROGER COX has spent more than 30 years writing about tennis travel. That long stint included a 17-year stretch for Tennis magazine. Over the years, he has visited more than 350 tennis resorts on five continents and personally participated in over 50 tennis camps—several of them more than once. His informed perspective on the entire tennis resort and tennis camp landscape underpins this website. Roger Cox is a veteran travel journalist who has spent 30 years covering tennis resorts and tennis camps. He is the founder and Editor-in-Chief of Tennis Resorts Online, the Web's leading source of tennis-travel information. This entry was posted in Tennis Travel and tagged Roger Cox, Tennis, Tennis Camps, Tennis Resorts, Travel on July 17, 2014 by Roger Cox.